The Carlton University Department of Mechanical and Aerospace Engineering which came in third in the 2008 NASA Great Moon Buggy Race. The McGill University Institute of Air and Space Law which often hosts various forums and conferences including the American Bar Association Air and Space Law: a Global Perspective. The University of Toronto Institute of Aerospace Studies (UTIAS) which, according to Wikipedia “has seen a number of firsts: world's first microwave-powered aircraft, the world's first engine-powered ornithopter (both inventions of James DeLaurier) and Canada's first space telescope MOST." Areas of expertise include aircraft design (particularly at subsonic speeds), flight simulation, space robotics, micro satellite technology, computational fluid dynamics and nuclear fusion. The facility has close relationships with Bombardier, NASA Ames, and MD Robotics (formerly Spar Aerospace). The Ryerson University Engineering Graduate Program which focuses on aerodynamics and propulsion, aerospace structures and manufacturing, avionics and aerospace systems. The York University Faculty of Science and Engineering which has contributed the Phoenix Scout Mission; SCISAT, the Canadian Space Agency mission to research the ozone layer; the Canadian WINDII instrument on NASA’s Upper Atmosphere Research Satellite; and the Canadian OSIRIS instrument on Sweden’s Odin satellite. “Hot button” issues affecting co-operation between the CSA and educational facilities relate to technology transfer from universities to industry (which are difficult given the CSA’s habit of requiring that CSA funded projects turn over developed intellectual property to the CSA) plus CSA synergies with other academic funding mechanism’s (since funding generally comes from multiple sources and needs to be coordinated). 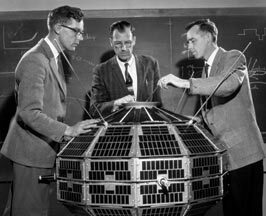 Canada is today an international leader in the fields of communications and remote sensing satellites and much of this is because of John Chapman (1921-1979) who was senior author of a report entitled "Upper Atmosphere and Space Programs in Canada." The document, now known as the Chapman Report recommended using Canadian satellites for communications and resource management. It thus became "Canada's Original Blueprint" for space exploration and formed the basis for the building of an industry focused around communications and resource management. But while new opportunities may be available for the savvy entrepreneur today, the last formal document outlining Canadian space policy was written in 2003. Titled "The Canadian Space Strategy", it was intended to replace the Canadian Second Long-Term Space Plan (LTSP II) of 1994 (which had last been updated as part of the Performance Report for the Period ending March 31st, 1998). The core thrust of the 2003 report was a call for the Canadian Space Agency (CSA) to continue to focus on Earth observation, space science, exploration and satellite communication plus place a renewed emphasis on raising awareness of space activities among the general public. However, the initiatives contained within the 2003 report were quickly overwhelmed by a series of events including the appointment of a string of three short-term and interim CSA presidents between 2005 and 2008 and the aborted sale of portions of space contractor MacDonald Dettwiler and Associates (MDA) to American-owned Alliant Techsystems (ATK) in April 2008 which highlighted national security issues and economic infrastructure components lacking in the 2003 report. 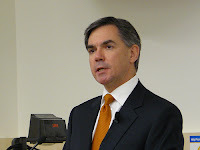 Industry leaders had anticipated that when Steve MacLean became head of the CSA in September 2008 an updated Canadian Space strategy document would be available within a few months but this has not happened. For a more detailed discussion of some of the options available to Canadian policy makers, please feel free to check out a recent article of mine titled “What’s Next in Space: Canada Needs a Space Policy” which was published in the March/April 2009 edition of Frontline Defence. Businesses operating space related ventures have been commercially viable since at least the 1960's when the first Early Bird satellite was successfully launched into geosynchronous orbit according to David M. Livingston in his paper, Space: The Final Financial Frontier. A model of the Allouette 1 in 1961 surrounded by (from left to right) C.A. Franklin, the manager of electrical systems for the project, R.K. Brown manager of the spacecraft team and J. Barry. And Canadian companies have always been leaders in this area, beginning with the launch of the Allouette and Anik satellites and moving forward from there. This blog will focus on those industries, the partnerships developed to maintain and grow them and the politics surrounding those partnerships. And perhaps somewhere along the line, we’ll even get around to discussing the next big opportunity to make some money.